Construction on the new state-of-the-art Malcolm X College began in early September 2013; the building is now open for classes as of January 2016. The $251 million project, a major investment in Chicago’s West Side, is part of City Colleges’ five-year $524 million capital plan, which enables major improvements throughout the seven-campus community college system—from upgraded classroom technologies to brand-new teaching and learning facilities. 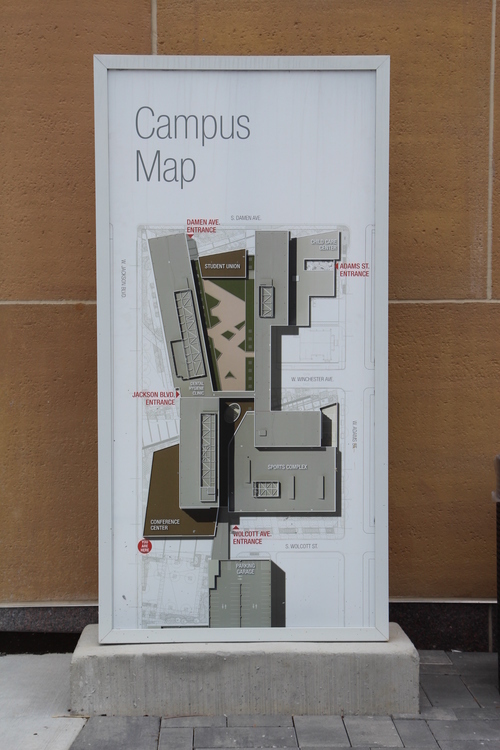 The new 544,000 square foot campus was built directly across the street from the old college (which is being demolished) on its parking lot, features space for health science, general education and adult education instruction, as well as student services and athletics. A new conference facility, auditorium and parking garage was also part of the construction.